I’m extremely proud to say that I’ve now reached 500 followers and I couldn’t be more grateful. So in reality…I still have no idea what I’m doing. I don’t know what content you like, what content you don’t like, but that’s up to you, and that’s okay! I blog because it’s what I enjoy doing. 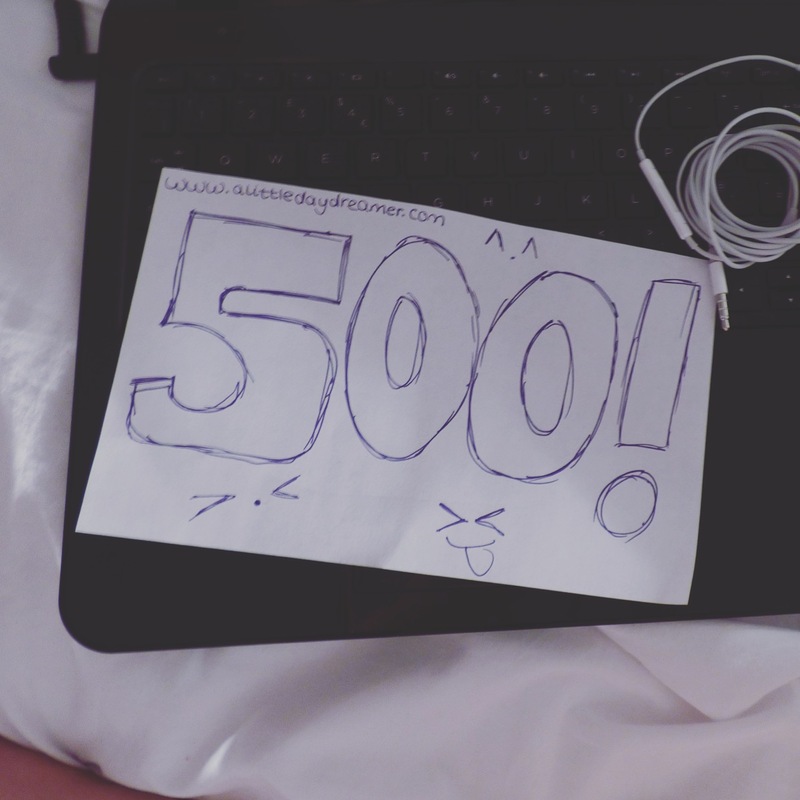 I love the fact that I’m able to share a little bit of my life with you and it makes me so happy that 500 of you are willing to take this journey with me. Growing up is scary. And blogging has definitely helped me learn more about myself, what I want to do and who I want to become. Thank you to everyone who has supported me and I can’t express how much you mean to me. ❤ So many of you leave so many heart-warming comments and it makes me feel so lucky. I’m very excited about the Creatives’ Project and as for the Teens Tell Their Story, there’ll be a final post coming soon! In addition, I’m going to try and start regular uploads on my YouTube Channel (click to check it out) and try and attempt more sit-down and talk videos so that you can get to know me that little bit better. Isn’t it interesting how every person who decided to click the ‘follow’ button had a different reason as to why they thought my content was worth following. CAITLIN! Congrats – I’m so bloody proud 🙂 Wow, seriously, you’re amazing. You’re like my inspiration and my idol for blogging. I clicked that follow button because you were relatable and you sounded amazing. Well done!! Your blog is great and I hope you keep going! !